My Animals for Kids is presented by Sanctuary Labs. 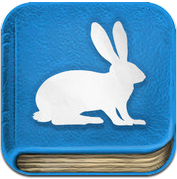 This is a great app to give your kids a head start on the ability to name animals. The format is simple and clear yet enticing for kids. The background music helps with focus and can be turned on or off. The pictures of the animals, after pronounced, are stunning. The professional voice tops this app off nicely! The buy button on this review is for the free version. When you get the free one there is a very noticeable “buy full version” button that pops up. Parents can refer to our For Parents Safety Settings to control that. We recommend that you get the full version for a very low price of .99 and make this a valuable tool for your kids with 33 animals to enjoy! Look at All The Choices in the Full Version!